Carvana, a digital marketplace for buying and selling used cars, lets car buyers shop from its selection of over 15,000 vehicles and schedule delivery of their desired vehicles as soon as the next day in over 90 markets across the U.S. Shoppers can use the sites’ nine dynamic filters to find cars that best fit their lifestyle needs, then inspect all of the features and potential imperfections using the site’s patented 360-degree photo technology, as well as access a full vehicle history report. Carvana also offers real-time financing and allows buyers to review and sign paperwork online in as a little as 10 minutes. They can then opt to have the car delivered as soon as the next day—or, in certain markets, pick up their car from a fully automated Carvana Vending Machine. 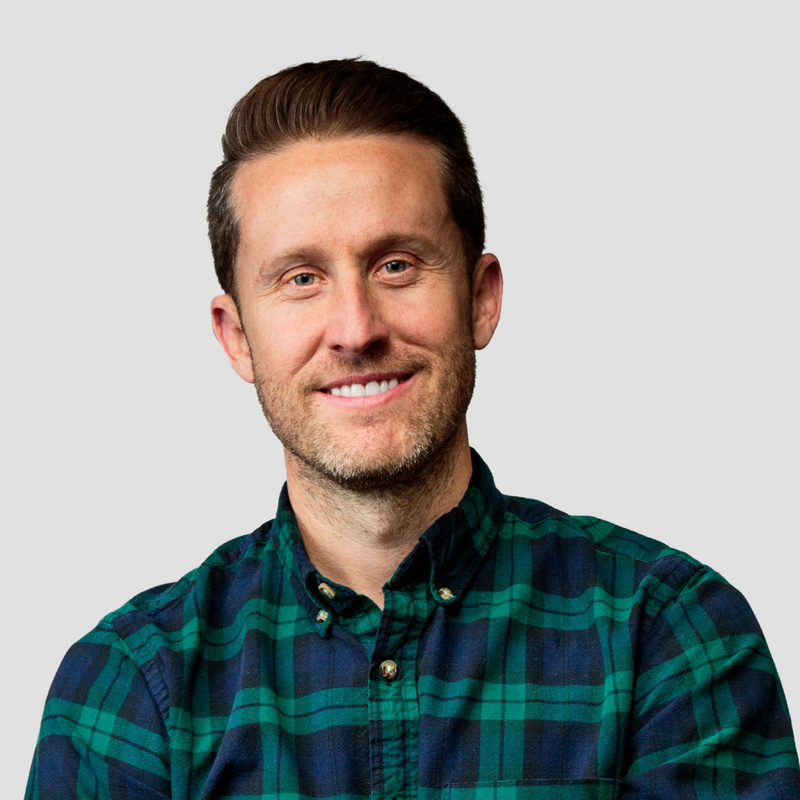 As part of the Automotive CX Debrief, PSFK spoke to Carvana co-founder Ryan Keeton for his take on the changing customer experience as car buying increasingly moves online. PSFK: Why has the way that cars are bought and sold been so slow to change compared to transactions in other verticals? Ryan: The traditional car buying experience is about 75 years old, but it’s a process that has been accepted, simply because there has never been an alternative—until now. We identified an experience that many consumers dislike and decided to tackle it and make it better. We utilized technology to create an online self-service car buying platform, technology that wasn’t available 75 years ago. And we considered the transaction through the eyes of the consumer—where the friction was, where the frustration came from—and addressed it through exceptional customer service. What led to the founding of Carvana? How does Carvana attempt to challenge the status quo with a DTC model? Our CEO had a background in automotive retail and finance, and after gaining experience in the industry and seeing how quickly and easily dealers could buy a car, he knew there had to be a way to make it quick and easy for consumers, too. With that goal in mind, we paired technology with exceptional customer service to provide consumers with an entirely online car buying experience that removed the friction and hassle of going to the dealership. Instead of taking an average of four hours to buy a car, it can be done in as little as 10 minutes on Carvana.com. Instead of a test-drive that only lasts a few minutes, Carvana vehicles come with a seven-day return policy. Instead of a limited local inventory, Carvana.com has more than 15,000 vehicles for customers to choose from. 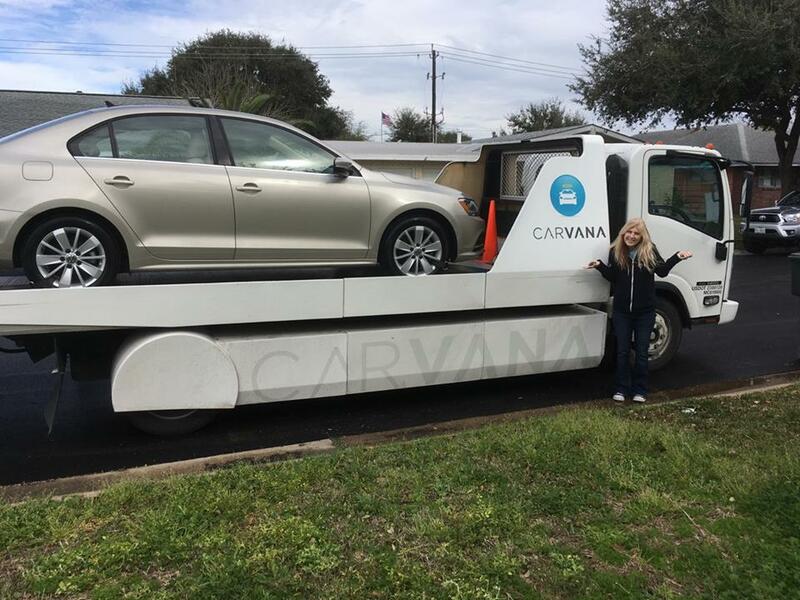 Instead of having to visit dealership after dealership, Carvana offers as-soon-as-next-day delivery to customers’ home or Car Vending Machine pickup. Carvana is a new way to buy a car, and we have definitely challenged the status quo, but we’re finding that more and more consumers are embracing online car buying. In 2018, we were the fastest growing auto retailer in the U.S. by units, more than doubling our retail unit sales from the year before. How does Carvana attempt to elevate the customer experience, turning a complex process that many people may dread into something fun? We remove the complexity with an easy, online platform, put the transaction in the hands of the consumer and offer exceptional customer service along the way. There are no salespeople at Carvana; no one gets a commission. The customer is at the center of every decision at Carvana. What will make the car buying experience the best customer experience they’ve gotten? And what will make it fun? Whether we deliver your vehicle with birthday balloons and cake because we know your birthday is coming up, or we put a basket of baby items in the backseat when you tell us you’re getting a bigger car because you’re expecting, we want you to know we’re just as excited about your car as you are. And you, the customer, have been our priority from the time we launched Carvana in 2013, and will always continue to be. We also debuted the world’s first fully automated, coin-operated Car Vending Machine in Nashville in 2015. Now, we have 15 Car Vending Machines across the country, where customers can choose to come pick up their vehicle. Customers like this option, as well as the fun factor of dropping their oversized, commemorative coin into the slot. It becomes an event, where you bring your friends and family, post it on social media and of course have the bragging rights of telling everyone you got your car out of a Car Vending Machine. Shopping online for a big-ticket item like a car may pose some challenges. How does your platform make it easy for shoppers to narrow down their choices, as well as inspect cars virtually in order to boost shopper confidence? We have more than 15,000 vehicles on Carvana.com, along with helpful, intuitive search functions so customers can easily narrow down the right car for them. Selecting preferences on everything from body style, to color, to make, to model, to price range, all the way down to features like remote start, customers can quickly and easily filter the inventory. And all of those vehicles are photographed in high-definition, 360-degrees in our patented photo booths—no stock photos, here!—with features and imperfections annotated, inside and out. Our virtual tours are industry-leading and about as close to the real thing as you can get. Additionally, all of our vehicles come with a seven-day return policy, so customers have the peace of mind and time to ensure the vehicle fits their life. Customers can install car seats, see how it handles tight city parking; we see it as an upgrade to the traditional test-drive. How do you attempt to streamline the financing and paperwork process? Much of the paperwork customers would spend hours working through at the dealership can be completed entirely online with secure e-signatures. Additionally, customers can see financing terms offered by Carvana in just a few minutes, with no impact to their credit. To give customers a quick, easy, streamlined purchase experience, we’ve completely revolutionized the financing process by building the proprietary technology required to provide instant decisioning and personalized terms across every single vehicle from our 15,000+ inventory. As customers shop the site, they can see what their specific down payment, monthly payment and APR are, vehicle by vehicle. We are not only streamlining the process, we’re giving customers the control and transparency to choose what works best for them. We also make it easy for customers to bring third party financing or pay cash. What led to the decision to offer “as soon as next day” delivery? How are you able to implement this from a logistical standpoint? Customers can have a quick, easy online purchasing experience with Carvana, so the delivery of that vehicle should match that experience. As a vertically integrated business, we own our logistics network, so we’re able to strategically route vehicles so we can gain time efficiencies to ensure we’re getting vehicles to our customers quickly. How did your car vending machine come about? Is it more about adding convenience and flexibility to the fulfillment process or is it primarily a marketing vehicle (pardon the pun)? When we first launched, we were delivery-only. Our customers loved the experience, and would write glowing, paragraphs-long reviews. We wanted to keep delivering that great customer experience they were raving about, so we started exploring additional ways we could make Carvana even better. Then we had the idea to create a pickup experience for customers, so they could come get their car with the added flexibility of a physical location to visit—one that was nothing like a dealership, and provided that exceptional customer service we built our business on. So after kicking around a few ideas, we came to the Car Vending Machine concept. We’re fortunate that they’ve become signature buildings that visually tell the Carvana story in every city they’re in, but they all started with the idea that car buying should be fun, and centered on the customer. Carvana offers a seven-day “test own” period instead of a test drive. How does that lead to increased buyer satisfaction? Every Carvana vehicle comes with a seven-day return policy. We see it as an upgrade to the traditional test-drive experience, where you get just a few minutes, a few turns around the block, all with the salesperson sitting in the car with you. With seven days, you have the peace of mind and time to ensure the vehicle fits your life. Does the third row have as much room as you need? Can it handle the snow-packed drive on your weekend ski trip? Every customer gets a call from us on the sixth day to check in and see how things are going. If you love it, great; if you don’t, we want to know why. If, for whatever reason, you’re not satisfied, you can return the vehicle, or swap it out for another one. We’re here to listen to the customer and ensure that they have an exceptional experience. How has consumer response been to the online car buying process? What would you say to experts who doubted that consumers are ready to buy cars online? Carvana has seen incredible growth, and as a leader in the online auto retail sector, that tells us consumers as a whole are responding favorably, and will continue to do so. There will always be doubters when new ideas come to the surface, but we’ve believed in Carvana from the beginning, so doubters don’t get us down. If anything, they inspire us to work even harder. From selling just 227 cars in our first year, to selling 94,108 in our sixth year, we’re proof that consumers are buying cars online, and that they are embracing the exceptional customer experience Carvana offers. How are you adding value post purchase through programs like CarvanaCare? How are you attempting to build an ongoing relationship with your customers? We sell late-model, lower-mileage, high-quality used vehicles, many still under manufacturer’s warranty, but to provide that added peace of mind, we also offer customers the option of purchasing extended coverage, which we call CarvanaCare. As a young business, and with the average consumer purchasing a car about once every five years, we are in the early stages of seeing repeat customers, but we are always exploring ways to continue to provide exceptional customer service. 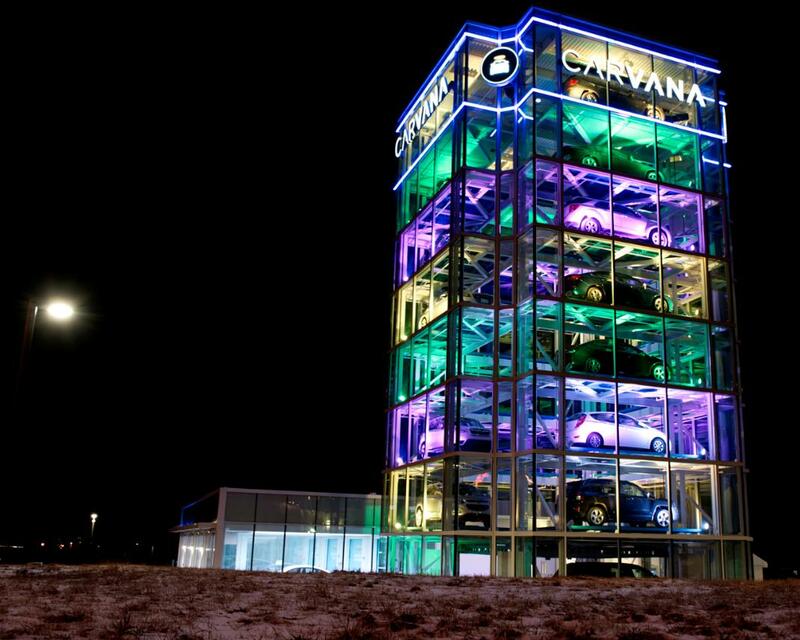 Carvana has been rapidly expanding to new markets. How will you continue to grow over the next 2-3 years and continue to innovate the car buying experience? We’re on a mission to change the way people buy cars, so our goal is to bring our new way to buy a car to as many people as possible. We’ve experienced rapid growth in just six years—more than 100 markets, 15 Car Vending Machines, and a 4.7 out of 5 star rating across more than 26,000 online reviews. We will continue to innovate through advances in technology and data, continue our geographic expansion through new market launches and Car Vending Machines, and ideate and iterate on ways we can continue to deliver an exceptional customer experience. This interview is excerpted from PSFK’s Automotive CX Debrief, which explores how automotive companies are leveraging the tactics of direct-to-consumer brands to transform the way vehicles are marketed and sold in a digital-first context and reframe customer relationships around meaningful loyalty. This report is part of a series focusing on retail innovation and customer experience to inspire the members of our business intelligence services.